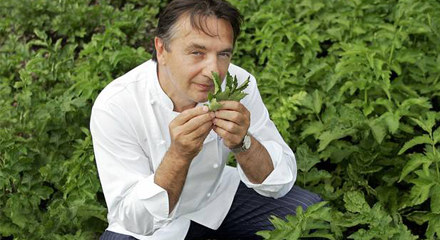 The chef Raymond Blanc has called for gardening lessons to be made compulsory in schools to help children learn the importance of fresh ingredients and healthy eating. The restaurateur and BBC presenter called on Michael Gove, the Education Secretary, to extend his plans to make cooking classes compulsory for children aged 7-14 from next September, to include outdoor lessons in which children learn to cultivate foods for the dining table. ‘At last Mr Gove has made food part of the curriculum. I hope gardening will soon be part of the study programme,’ Blanc told The Independent. Learning how to plant a vegetable garden, along with knowledge of the wildlife and bugs which share any garden space, will help combat the obesity crisis, the French chef believes. Blanc has produced an animated cooking iPad app for children, called Henri Le Worm, which features recipes and a cast of insects voiced by film star Simon Pegg. 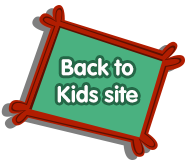 The app encourages children to explore Henri’s magical ‘Forest of Plenty’ and ‘reconnect with nature’. ‘We are the generation who truly messed it up by creating so many problems for our kids by reducing food to a mere commodity,’ said the chef who plans to open his own gardening school at Le Manoir aux Quat’Saisons, his double Michelin-starred Oxford restaurant, which offers cookery classes for children. The gardens at Le Manoir supply 90 types of fresh salads and vegetables and 70 varieties of herb to the restaurant. Simon Pegg, who attended the launch of the app, co-created by Casualty actress Charlotte Salt, said he hoped Henri Le Worm would improve the image of insects. ‘It will encourage kids not to be so mean to superficially gross animals,’ he said. Under Mr Gove’s plan, cooking lessons at school will become compulsory for children next year as the Government aims to ensure they can make up to 20 dishes before taking their GCSE exams. Schools which offer gardening classes have reported widespread benefits. Howarth Primary School in West Yorkshire placed food, gardening and nutrition at the centre of school life, encouraging children to cook vegetable kebabs in class. A gardening club offered evening food-planting sessions. Three years after the programme started school meal take-up had risen by 50 per cent and the school’s Sat results had soared.